Prof. Plamen I. Dankov received his M.Sc. degree in atomic physics and his PhD degree in Microwave Physics from the Faculty of Physics in Sofia University “St. Kliment Ohridski”, Bulgaria, in 1980 and 1988, respectively. In 1989, he joined the Department of Radio-Physics and Electronics in the Faculty of Physics and now he is an Assoc. Professor in Microwave and Wireless Technique. He has established teaching of many courses in the area of Radio-Electronics, Wireless Communications, Microwave and Wireless Technique, Microwave Measurements, Antennas for Wireless Communications, EMC in IC’s, Basic Principles of Mission Design with Small Aerospace Vehicles, etc. Currently he is a Chair of two successful Master programs: “Wireless Networks and Devices” and “Aerospace Engineering and Communications”. He is also a scientific consultant for material characterization and antenna radomes in RaySat, Bulgaria and Gilat Ltd. (Gilat Satellite Networks). 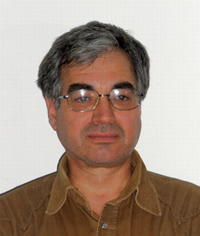 The research efforts of Dr. Plamen Dankov are focused on characterization of dielectric material properties and anisotropy; microwave measurements; RF planar devices, antennas and antenna arrays, electromagnetic 3D simulators, near-field measurements; EMC measurements, safety standards for microwaves; satellite communications, aerospace engineering and small satellites, etc. He has more than 125 papers, presented and published in different journals and conference proceedings. Dr. Dankov is member of the Review Board of the Annual European Microwave Conference EuMC (more than 180 review notes), IEEE-MTT, IEEE-MWCL, IEEE Instrumentation and measurements; IEEE Microwave Magazine, etc. He is member of IEEE in 4 societies: 1) Microwave Theory and Technique; 2) Antennas and Propagation, 3) Instrumentation and Measurements, 4) Aerospace and Electronic Systems. Dr. Dankov has participations in several international and local contracts in different areas: material characterizations, plasma antennas, THz beams; controlled thermonuclear fusion (EUROATOM), COST VISTA project: Versatile, Integrated, and Signal-aware Technologies for Antennas, etc. A new joint project between Sofia University and Siberian State Aerospace University in Krasnoyarsk, the Russian federation, is developing now. Similar activity is started together with CASTRA-Bulgaria with the University of Bologna, Italy for 2014/15. Dr. Dankov organized the MIC2 seminar in Bulgaria, February 2012, and was the leader of the Sofia University team in MIC2, selected for semifinalist in Nagoya, October 2012.